Probably the easiest way to incorporate copper into your kitchen is with crockery, cutlery and cookware. Open shelving can nicely display these in your kitchen. Alternatively, they can be hung on hooks or on the ceiling. 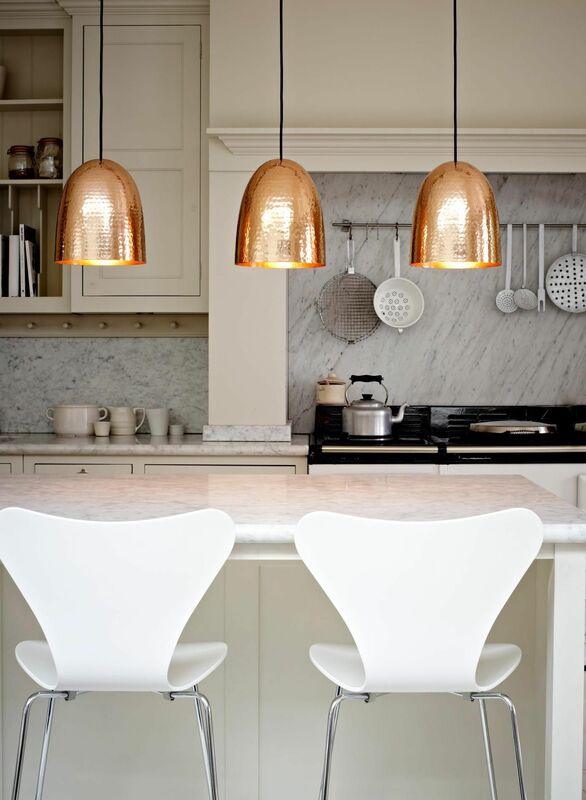 Throwing up some lighting is another easy way to get some copper in your kitchen. Again, the material works well in any style from sleek and modern to industrial and traditional. Unlike a metal like stainless steel, copper adds real warmth to a room. A bigger job, but worth the effort. Not only does copper look splendid as a splashback, but it durable, practical and wears well with age. Research also shows that copper is more germ resistant than stainless steel. 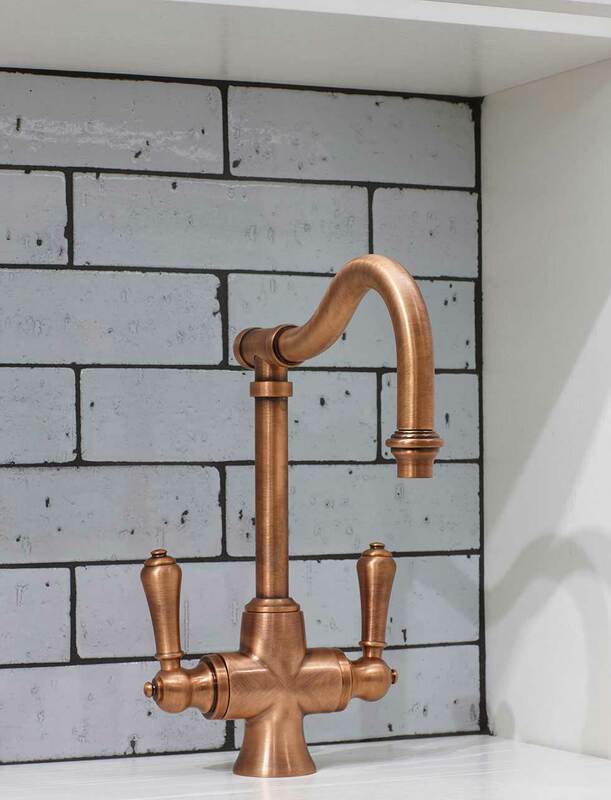 For a subtle inclusion of copper in the kitchen, try a tap or sink (or both). Copper is really easy to clean and doesn’t require expensive or environmentally unfriendly products to clean. Mild soap and water generally does the trick! We’ve already mentioned that copper is easy to clean, wears well and is naturally antimicrobial. All these really tick the boxes for a benchtop, although it is easily scratched and dented. As long as you’re happy to add a bit of character to it – that’s okay! Copper benchtops come in a sleek or bulky design and look absolutely stunning in the kitchen. Are you renovating your home or kitchen? Get in touch with us today to get a FREE quote for your kitchen.